The Chenab College Jhang Punjab. 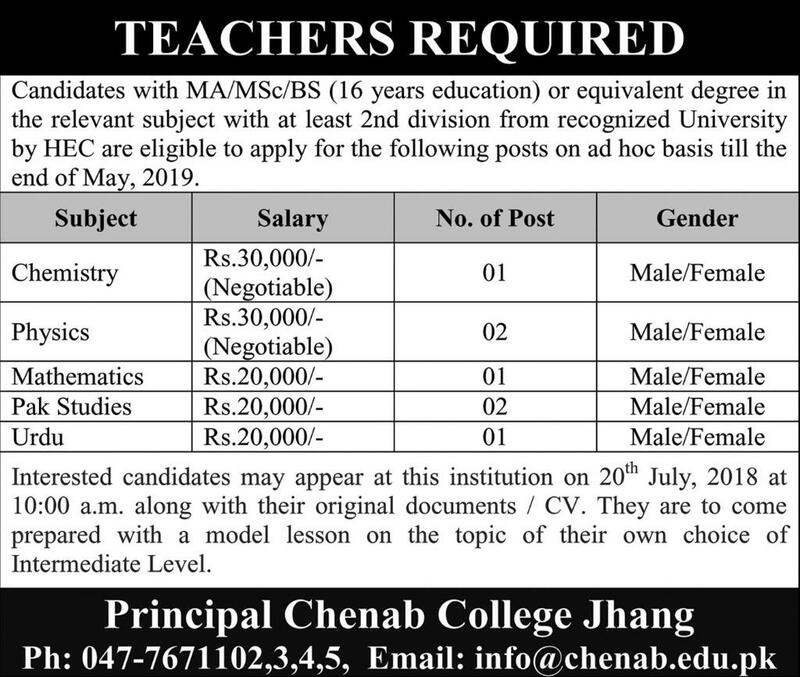 Candidates with MA/MSc/BS (16 years education) or equivalent degree in the relevant subject with at least 2nd division from recognized University by HEC are eligible to apply for the following posts on ad hoc basis till the end of May 2019. Interested candidates may appear at this institution on 20th July 2018 at 10:00 a.m. along with their original documents / CV. They are to come prepared with a model lesson on the topic of their own choice of Intermediate Level.